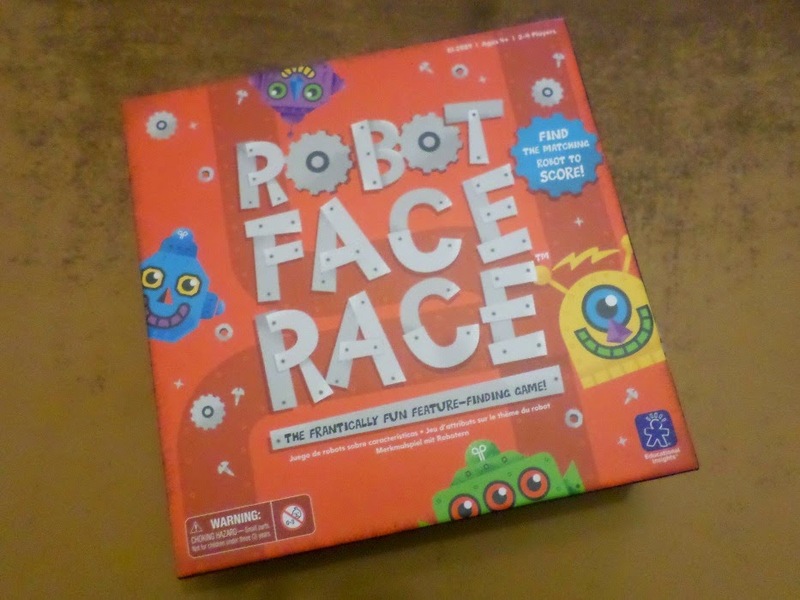 Robot Face Race is a fun new game from Educational Insights that has been recommended by American Mensa honor. It is a "Frantically Fun Feature-Finding Game!" This educational, matching game helps children hone their concentration and their visual discrimination skills while they hunt for the one unique matching robot head on a board full of different colored heads. Fun game play is to be found as children race against each other to be the first one to find the designated robot head. The Robot Randomizer shows them which one they are looking for. There is only one head with the correct combination of features. The winner is the first one to find and claim 5 robot heads with their tokens. We always love the unique educational games from Educational Insights, and this is no exception. You can read my full review here. 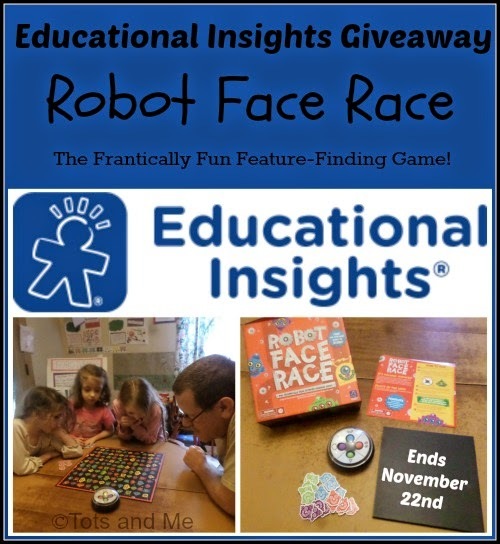 You can purchase Robot Face Race for $19.99 from Educational Insights. Christmas is just around the corner so I am extremely excited to be able to bring you this giveaway. If you are looking for fun family times, this would be an awesome gift for a special child in your family, or even as a family gift. You can find Educational Insights on Facebook, Twitter, Pinterest, Instagram, and YouTube. All you need to do is enter in the Rafflecopter form below. There are only 3 simple mandatory entries, with the remainder of the entries being optional. Remember, you do not have to do the extra entries, but they will increase your odds of winning. The giveaway runs November 10 through November 22. Disclosure: I received Robot Face Race from Educational Insights in exchange for my honest review. I received no further compensation. This did not in any way influence my review. I only recommend products I use personally and feel will be a good products for my readers. We love playing Candy Land! Candy land was a good one. The most recent game we've played was Snake Oil, but that's not really a little kid game. I'd get another set of Hot Dots cards. Carter really loves to play the Memory Match games! Hard to pick just one...apples to apples, candyland, we play everything! Oh I also really love the WRECKER! T-Rex Skid Loader!! He would love that too! Right now Telling Time Bingo is a favorite! So many great games in the comments. My absolute favorite is Apples to Apples, but the kids aren't great at it. Yet. We like board games and a Kerplunk type game. But our new favorite, favorite is Snake Oil Party Potion. Thanks for the chance. My youngest game player likes Candy Land right now! I'd love to have some of the preschool games from Educational Insights--I have some more little ones that need games of their own! We love Headbanz right now. I love the puppets on a stick from educational insight!